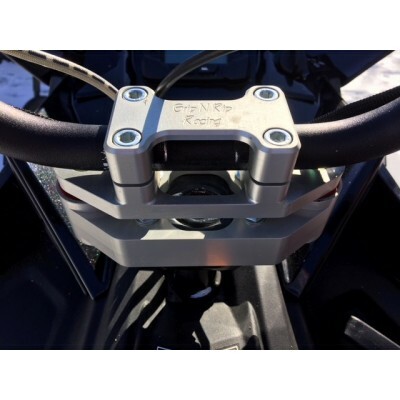 IsoVibe SX Axys Protaper Bar Model - Grip N Rip Racing LLC. Isolate your Handlebars from shock and vibration with this handle bar clamp utilizing our high performance SX polyurethane bushings to reduce arm pump and tingling in your hands. The innovative design completely isolates the bars with elastomer bushings that absorb vibration and reduce shock by allowing the bars to flex forward/backward and side to side a small amount as you hit the rough stuff. Will raise your bars by 1" or 1 3/4" over stock depending on how you mount it. Three handle bar offset positions - 1/2" forward, neutral, 1/2" back. Adjustable handle bar deflection - simply adjust the isolation bushing preload to increase or decrease deflection. 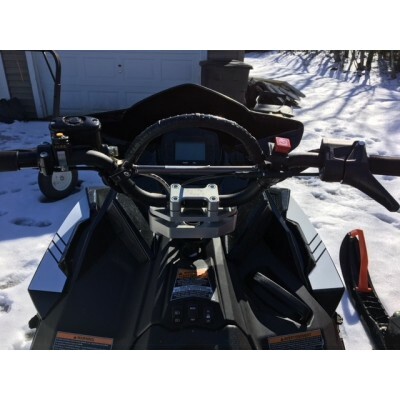 Fits Polaris sleds with a steering post plate and Polaris Protaper bars.